Each month the PADI Quality Management team continues to bring you tips on how to maintain and improve safety in your professional diving activities. This month we heard from Quality Management Consultant, Rebecca Wastall. This month we decided to fire frequently asked questions to the Quality Management team to see if things are actually fact or fiction! Fiction. When a complaint comes in, the Quality Management Consultant looks at all the facts and the member’s history. When members deviate from PADI Standards, most often unintentionally, the Quality Management program acts to get members back on track and help them avoid future problems. Deliberate, repeat offenders, on the other hand, are dealt with firmly and can face suspension, retraining and expulsion from the organisation. Fact. The Quality Management Consultants are here to support you. We are happy to receive calls and emails concerning standards or best practice, all of which will be held in confidence and not disclosed to anyone without your consent. Fiction. As defined in the Instructor Manual a flexible skill must be conducted during the PADI Scuba Diver and PADI Open Water Course. The flexibility element allows the instructor to choose the best time to conduct the flexible skill within the parameters of either the PADI Scuba Diver or PADI Open Water programme. One of the best examples would be the Controlled Emergency Swimming Ascent where the instructor would choose the best location and conditions for the CESA on Open Water dives 2, 3 or 4. Fiction. The use of a control line to conduct the Controlled Emergency Swimming Ascent is mandatory when conducting the CESA in the ocean as per the Instructor Manual at page 65. This skill is taught with a control line to make it realistic and safe. The control line is there for you to stop your student if they ascend too fast. It is unacceptable to overweight yourself or hold on to your student without a line to stop a runaway ascent. In addition please consider that a Surface Marker Buoy may not be of sufficient strength to act as a control line despite it being secured. Page 65 of the PADI Instructor manual clearly describes how to run this skill. Fact. This form has been approved by the RSTC to cover standard liability for a period of 12 months if a student conducts more than one programme. This is providing they do not change the store the programmes are conducted at. A good example would be where a student takes both the PADI Advanced Open Water and then moves straight onto the PADI Specialty Diver Programme. Fiction. The RSTC liability form only protects you from the “assumed” risks of diving. A good example would be the fact that scuba diving is conducted underwater and the student assumes any general risks involved with being submerged. It does not protect you from any actions that would be deemed negligent. A good question to ask yourself is “would a reasonably prudent PADI member act in the same way?” If the answer is yes it is likely that your actions are ok and you would not be found negligent. If the answer is no then you may be acting outside the normal parameters of diving and the assumed risks it holds. In these circumstances you could be held liable. Fact. 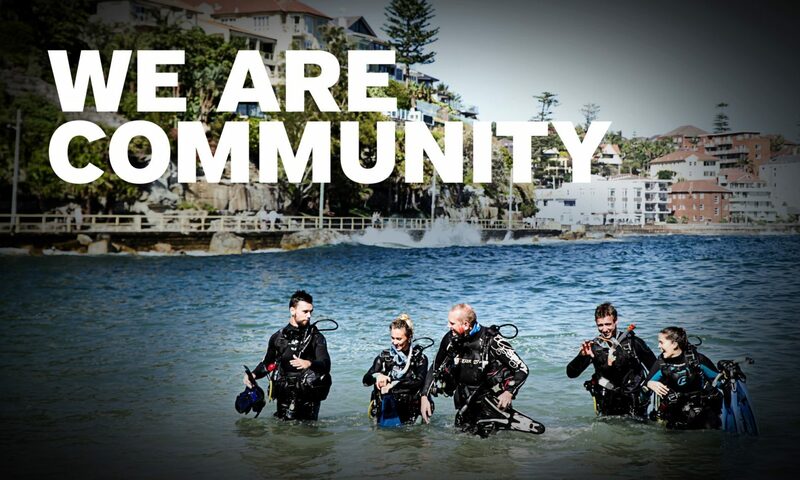 It is unacceptable to leave your students unattended during any training element of the PADI Open Water Course. The Instructor Manual requires direct supervision throughout. This can be found within the Instructor Manual at page 52. Fiction. If you engage the services of a freelance instructor to undertake PADI courses at your store you have formed a legal relationship. If anything were to occur and negligence found, a store could still be vicariously liable for the freelance instructor’s actions in the same way as if they were an employee. In essence, there is a relationship between you and the instructor which involves a contract of services. This contract would allow a diver to sue both the individual member and store in any claim of negligence. Fact. PADI standards do not allow you to pass your weight belt to your instructor or place your weight belt on the side of the pool in the conduct of this skill. If there are concerns about damaging the pool then use sand weights or soft matting to prevent damage. Make sure your students know why this skill needs to be mastered. They must understand in certain circumstances it could prevent an incident from occurring. See page p56 of the instructor manual for the full standard. Fiction. This must be a continuous swim as defined at page 53 of the Instructor Manual. Remember if your students are struggling with this component of the PADI Open Water Course you can consider the 300m snorkel instead. Never modify the watermanship skills. Failure to master watermanship could lead to serious incidents in the future. All the best in your professional diving activities and Let’s Dive Safe. Rebecca Wastall | Quality Management Consultant, PADI Asia Pacific.